New York State Assembly Holds Hearing on Marijuana Legalization . Four legislative committees held a joint hearing on marijuana legalization in Albany Tuesday. The hearing covered how marijuana should be legalized, taxed, and regulated. The hearing comes ahead of next year's legislative session when lawmakers are expected to take up proposals to legalize the herb. New Jersey Will Let Dispensaries Post Price Information . State officials announced late last week that medical marijuana dispensaries can post their product prices online, so now patients can shop around and be better-informed consumers. "Medical marijuana patients should benefit from online price information just as shoppers do when they buy a car, a plane ticket or any other consumer goods," Department of Health Commissioner Shereef Elnahal said in a statement. Listing prices is not mandatory, however. California Pain Summit Set for Next Month . Over a hundred California physicians, administrators, policymakers, and advocates will be meeting at the For Grace's Change Agent Pain Summit  in Los Angeles on November 2. For Grace is a group devoted to dealing with women's issues around pain. The aim of the summit is to create a patient-centered state-level pain policy is to localize key recommendations from the National Institutes of Health's National Pain Strategy in the Golden State. Among those attending will be Diane Hoffman, director of the Law and Health Care Program and Jacob A. France Professor of Health Care Law at the University of Maryland. "There's an imbalance in our drug control laws and policies between treating pain and reducing drug diversion and addiction. And it's hurting pain patients," said Hoffman. "The efforts to restrict prescribing and eliminate Medicaid coverage of opioids, like what has been proposed in Oregon and the outright abandonment of patients is outrageous. We need more leadership from the medical community," she added. Justice Department Creates New Task Force Targeting Cartels, MS-13 . Attorney General Jeff Sessions announced at a Washington conference Monday that the Justice Department has created a new task for aimed at breaking three Mexican drug cartels and the MS-13 street gang. 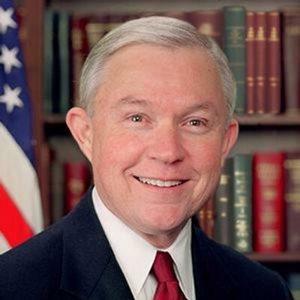 Sessions described the groups, along with Hezbollah, as top transnational organized crime threats and said DOJ would "develop a plan to take each of these groups off the streets for good." The three cartels named are the Sinaloa Cartel, the New Generation Jalisco Cartel, and the Gulf Clan. All of this because the last half-century of drug prohibition has worked so well. New Jersey Legislative Committee Advances Parole System Reform . The Assembly Law and Public Safety Committee voted 4-3 Monday to advance a bill, Assembly Bill 1986 , which rewards good behavior and encourages rehabilitation by allowing for the release of low-risk individuals from prison after they have served their basic sentence, provided they commit no serious disciplinary infractions while incarcerated and participate in rehabilitation programs.